You can't fake real motivation. It comes from the heart and from an authentic desire to do well. You may be able to motivate your employees in the short term with tangible incentives such as bonuses and pay raises, but your results will be difficult to sustain if you stop offering these perks. The principles of motivation in the workplace use theories and ideas that apply to everything from education to civic engagement. The five theories of motivation cover both tangible incentives, such as monetary compensation, and internal incentives, such as satisfaction with a job well done. The attribution theory of motivation, also known as the three-dimensional theory of attribution, addresses the ways that people view and address their own motivation, which can either come from internal emotional incentives or from external tangible rewards. According to this theory, if you have some idea of what your employees think they need for enhanced motivation, you'll be able to create conditions and incentives that keep them engaged. Stability is an important aspect of attribution because it contributes to determining whether an obstacle or a motivating factor is long or short term. If your employee attributes a lack of success at sales to a personality trait such as shyness, it may be challenging to give that employee the tools to succeed. However, if that lack of success is perceived to come from something temporary, such as a rash that makes potential customers uncomfortable, the employee may simply need to wait until the condition clears. Locus of control and controllability similarly affect motivation by pinpointing whether an obstacle comes from internal personality traits or external environmental factors and whether it is within the power of the individual to change these variables. Tying motivation to locus of control and controllability can swing in either direction. Either the employee may lose motivation due to factors that seemingly cannot be changed, or this lack of direct responsibility for difficulties can motivate workers by clearing them from blame. The expectancy theory ties motivation in the workplace (and in other areas) to expectations about what increased motivation will achieve. This theory focuses mainly on external rewards and motivations, but it also addresses the likelihood of actually receiving these dividends if work is done well. An employee is more likely to work hard in pursuit of a promotion if you have shown that you actually do reward hard work with this type of recognition. The expectancy theory naturally relies on an element of expectancy, or the ways that expectations influence behavior, such as the perception that a particular goal is possible or unachievable. Valence also figures into the equation in the assessment of whether that goal is worth the effort it would take to achieve it. Similarly, expectations around instrumentality can either motivate or frustrate employees who are more likely to work toward an outcome if they're certain the reward is forthcoming. Researchers studying performance and motivation at a Western Electric facility in the Hawthorne area of Chicago in the 1920s and 1930s discovered that changes in working conditions often led to increased levels of motivation and productivity. These improvements occurred even if the changes themselves had no tangible effect on work flow other than showing that the company was invested in the quality of working conditions. Motivational researchers have dubbed this phenomenon "the Hawthorne effect." These observations reinforce the intuitive and common-sense idea that motivation increases if employees feel that management cares about their needs. Work is rarely just work – it is also an endeavor tied to self-esteem and quality of life for many workers. Recognizing and building on this insight is beneficial for both management and employees. Not surprisingly, motivation declines when employees know that their performance is being observed and evaluated relative to the changes that management is implementing. If you give your workers longer breaks and then tell them they're expected to be more productive as a result, they're less likely to step up than if they perceive that you're making these changes out of goodwill and for the sake of their well-being. The principles of motivation in an organization can appeal to employees at any of these levels, but the first levels must first be achieved and satisfied before employees are motivated at subsequent levels. If your employees aren't paid enough to make rent and feed their families, they won't be able to innovate and develop creative solutions to complex problems. If they fear losing their jobs and don't feel like they belong or are valued, they won't bring their full potential to daily and long-term tasks. It's unreasonable to ask for results specific to higher levels of the hierarchy when the lower levels have not been satisfied. To motivate workers using Maslow's paradigm, it's important to first understand where your employees are on the spectrum and what they currently need. It's also valuable to be clear about what your company wants from them and where these expectations fall in this framework. You may not need your entry-level technicians to perform work that furthers their self-actualization process. However, if you can find ways to keep them engaged at this level once you have motivated them at the other levels, they'll likely stay loyal to your company and perform fine work over time. 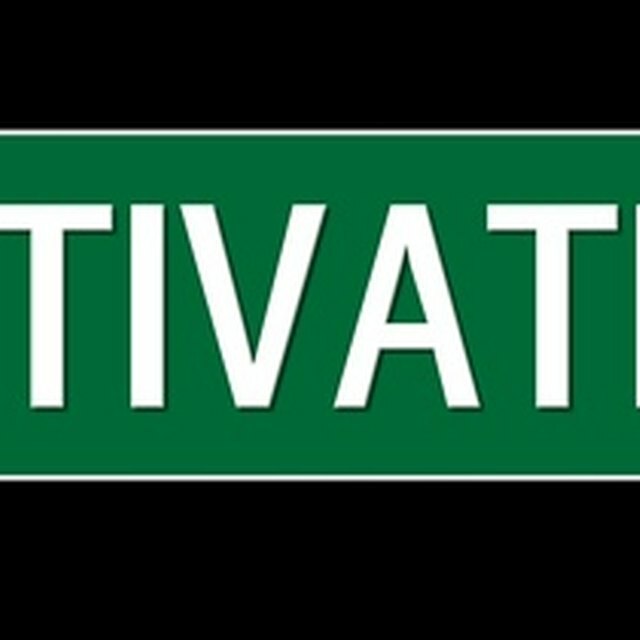 The psychologist Frederick Herzberg wrote about motivation during the 1950s, breaking down motivating factors into motivator factors, which spur employees toward increased achievement and productivity, and hygiene factors, the absence of which leads to a decline in motivation and engagement. Motivator factors largely correspond to the higher levels of Maslow's hierarchy and include satisfaction with work and recognition of achievements. Hygiene factors correspond to Maslow's lower levels and include fair pay, comfortable working conditions and a friendly workplace environment. Although employees respond differently to the presence or absence of these two types of factors, they are unlikely to work well unless both are present. When you apply principles of motivation in management, be sure to include both attention to hygienic practical needs and due diligence for your employees' personal development. Of course, no two employees are the same, and members of your staff will inevitably be engaged or alienated by different situations. A holistic and forward-thinking approach to motivating employees treats them as individuals and tailors strategies and incentives toward individual strengths and idiosyncrasies. As leaders, managers are responsible for the vitally important job of keeping employees motivated and engaged. It's useful to study motivational theories and reflect on how they apply in your workplace, but many aspects of motivational leadership come down to basic human decency. If you see an employee struggling, reach out and see if you can help. If all of your employees show a lack of motivation, be willing to delve into company culture and make changes as needed. Reward achievements. Make sure your staff knows what is expected of them and celebrate individual and collective achievements. Create specific, quantifiable goals and communicate these objectives widely and clearly. Setting these expectations will give you clear reference points for motivational rewards. They will also give you something to refer back to as opportunities for further training and education if your staff falls short. Sync individual and organizational needs. If you and your staff are working toward objectives that are in your mutual best interests, it's relatively simple to work in tandem and motivate staff to stay engaged and bring their best to the workplace each day. Develop a company culture based on shared values. Develop strategies for sharing bounty when your combined efforts are successful. Set an example. As a leader, your actions speak louder than your words. If your employees see you putting your heart and soul into your job, they'll see first hand that you truly believe in your work, and they're more likely to value it as well. On the other hand, if you take long, liquid lunches and spend all day at your desk playing computer games, they're unlikely to take their work seriously in turn. Be compassionate. Employees have complex lives and individual troubles outside of the workplace, and sometimes these considerations interfere with their ability to do their best no matter how effectively you work to motivate them. Use discretion and allow yourself to cut them some slack from time to time, especially if it's clear that someone is experiencing a personal crisis. It's quite likely that this kindness will eventually be rewarded with increased motivation and a heartfelt work ethic. Hiring a diverse workforce helps you to create a stronger business with a range of perspectives and talents. However, working with a cross-cultural team can create a new set of issues as you work to motivate your staff. Keep in mind that employees from a different culture are quite likely motivated by many of the same factors and strategies as workers who share your background. However, they may be rooted in cultural conventions that approach these issues in ways that are unfamiliar to you. Although many American workers don't hesitate to complain when they're dissatisfied with a workplace situation, many other cultures have stricter codes and conventions regarding when it is acceptable to express dissatisfaction. Keep a close eye out for signs that an employee from another culture is struggling either with the work or the workplace culture and communicate clearly that you're tuned in to the situation and open to hearing feedback. Language barriers can also create obstacles for motivating employees. If an employee isn't fluent in English, it's your job as a manager to put extra care into explaining yourself and then following up to make sure you are understood. The extra effort you put into this will be well worth your time because you not only increase the odds that you'll be fully understood, but you also show your staff that you care enough to explain, satisfying Maslow's levels of belonging and esteem. When you're unsure how your words and your directions are being interpreted, don't be afraid to ask. In fact, this humility and show of concern will serve you well not only with employees from different cultures but also with workers who share your background.